NES Teachers Corner – Teach STEM? We can help with that! This NASA education service is no longer available. NASA is restructuring its education-related activities in order to streamline and maximize the services it can offer within allocated fiscal resources. As a result, many activities are being restructured or eliminated as they complete their natural period of performance. NASA remains committed to providing meaningful STEM resources for educators and learners. A wide variety of NASA educational materials, activities, video clips and other related information is available on line. Please visit the NASA Education homepage for more information or to search for such resources: https://www.nasa.gov/education. Stay tuned for more detailed information on educator professional development. Chemistry of Water: Mars Exploration — Is There Water on Mars? As part of a series of electronic professional development experiences for educators, the NASA Explorer Schools project and the National Science Teachers Association are hosting a 90-minute Web seminar on May 13, 2014 at 6:30 p.m. EDT. Participants will receive an overview of a NASA inquiry-based lesson, “Is There Water on Mars?”. Participating educators will have the opportunity to refresh their knowledge of concepts such as how atmospheric pressure and vapor pressure affect the boiling point of water, and how scientists use that information to deduce if there could be, or ever has been, liquid water on Mars. The featured activity provides many opportunities for incorporating national science, technology, and mathematics learning standards into curricula as well as addressing high school Next Generation Science Standards. For more information and to register online, visit http://learningcenter.nsta.org/products/symposia_seminars/NES4/webseminar6.aspx. Join Dawn Stanley May 13, 2014 as she answers questions about the agency’s Space Launch System and her journey to become a systems engineer with NASA. During this video chat, students will have a chance to ask about the engineering design process and what it looks like at NASA. Our guest for this video chat is Dawn Stanley, a systems engineer with NASA’s Space Launch System Program Office at NASA’s Marshall Space Flight Center. She works directly with the Space Launch System program providing day-to-day support and mission assurance. Her job gives her unique insight into the development of NASA’s new heavy-lift vehicle. During the chat, Stanley will discuss how she became an engineer and how she got involved in developing spacecraft systems. NES and NSTA are hosting a 90-minute Web seminar on May 7, 2014 at 6:30 p.m. EDT. Discover a unique way of integrating robotic technology into your algebra classes. Robotic missions engage students and provide a unique way of bringing to life the concepts you are teaching. Learn to use programmable Texas Instruments, or TI, calculators and Norland Research Robots to solve problems requiring substituting values for variables in formulas. This seminar provides an overview of using robotics in algebra so you can make an informed decision about purchasing the robots and other equipment. You do not need to have a Norland Research Robot or programmable TI calculator to participate in this seminar, or know how to program the calculator. The featured activity provides many opportunities for addressing grades 6-8 Common Core State Mathematics Standards. For more information and to register online, visit http://learningcenter.nsta.org/products/symposia_seminars/NES4/webseminar1.aspx. NASA Explorer Schools is hosting a 45-minute live video chat for students in grades 4-12 on May 2, 2014, at 3 p.m. EDT. During the video chat, astronaut Stephanie Wilson will answer students’ questions about living and working in space. She was selected to become an astronaut in April 1996 and flew as a mission specialist astronaut on three shuttle missions. She has logged 42 days in space. 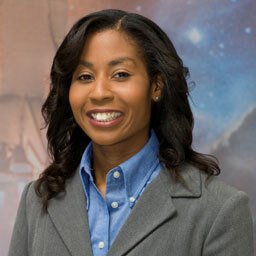 For more information and to participate in the video chat, visit https://www.nasa.gov/offices/education/programs/national/nes2/home/steph-wilson-chat.html. Learn about the Boomerang Design Challenge and two extensions featuring free computer simulations that teach students about airflow around airfoils. The activity provides opportunities for incorporating national science, technology and mathematics standards into the curricula and addresses middle school Next Generation Science Standards. For more information and to register online, visit http://learningcenter.nsta.org/products/symposia_seminars/NES4/webseminar17.aspx. Learn to use the distance formula and the Pythagorean theorem to determine the minimal path and minimal time for a lunar rover to perform tasks on the surface of the moon. Participants need a basic knowledge of scale factor and application of the Pythagorean theorem. Having access to a calculator is helpful but not necessary for the session. The activity provides many opportunities for incorporating national mathematics learning standards into the curriculum as well as addressing Common Core State Standards, Mathematics. For more information and to register online, visit the NSTA Learning Center. For more information and to register online visit the NSTA Learning Center.